The subject of my first post of the annum may as well be a rather pleasant day trip I made with a friend to Montserrat late last November. It had been on the radar for a while, but I was just waiting for a visitor to arrive with some vague cultural/outdoors interests – and as most of my friends are dissolute drunkards that took some time – so that I didn’t have to go on my Sweeney Todd. Naturally being poor/tight/economical we elected to head to the sacred mountain by public transport – which was not as cheap as it should have been really! 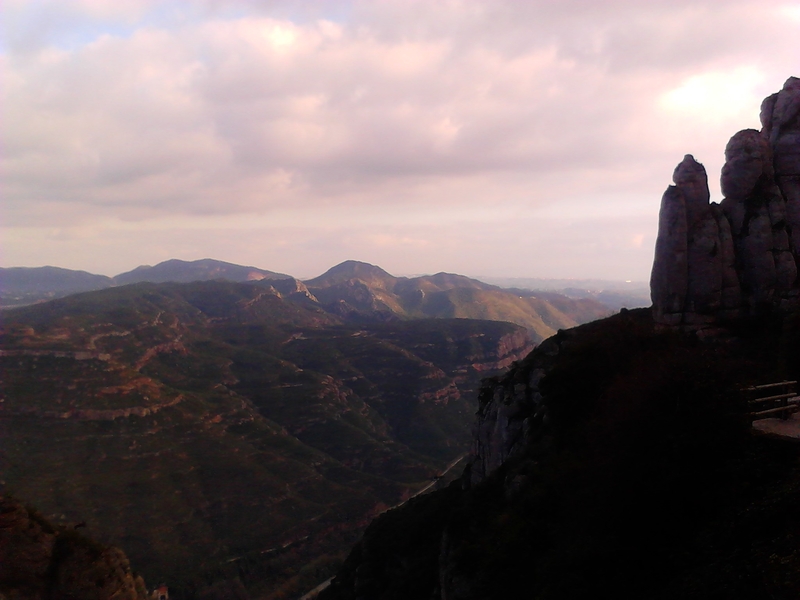 The rocks are only 38km out of Barcelona but you have to buy a special ticket which includes one of either a cable car or a windy train (cremallera) up from Montserrat train station to the abbey itself. When packaged together these suddenly become tourist priced! But there’s no way around it as far as I can see. Unless you fancy a very long trek up the mountain… but hiking’s not my game. Anyway the good news is that it’s damn easy. Get your @ss to Placa Espanya train station, head over to the R5 line, and then there are two kiosks selling return tickets to Montserrat. One with the cable car, one with the windy train. We bought a ticket for the windy train, which also included a further two cable car journeys which you can make, once you’ve made the initial journey up the abbey. This cost about 23 euros. (There was a full monty ticket that also included museum entrance and lunch for about 36 euros). The abbey of course is nice… it’s basically a big complex of which the most interesting building is the Basilica where you can – should you not mind queuing for ages – line up to see La Moreneta (Black Madonna). A famous religious icon amongst church-going Catholics. 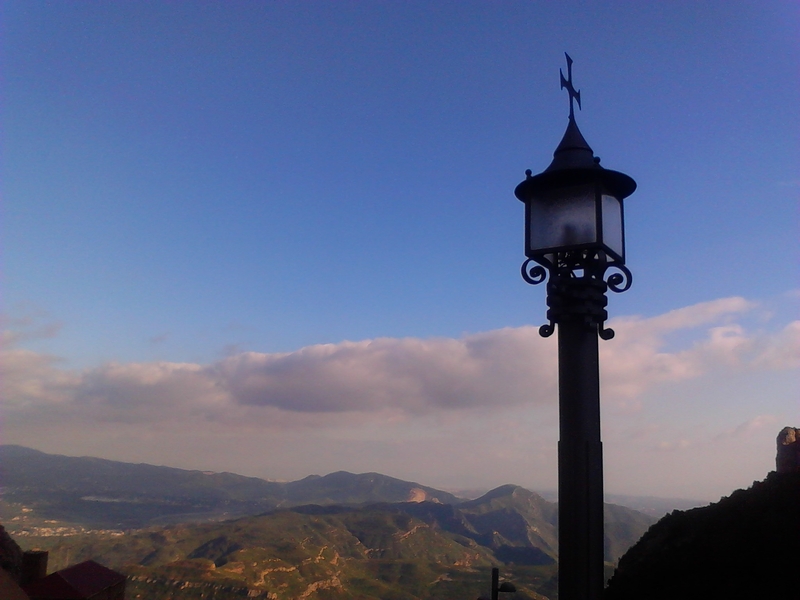 Naturally we skipped the icon and took one of the cable cars included in our ticket price down to the sacred cove – now a chapel – where La Moreneta was originally found (shepherds found it guided by a holy light of course). This was probably the highlight of the day out. The walk to the cove, after descending a little via cable car, was very scenic and marked by some impressive statues (commemorating the stations of the cross) and the holy chapel was very serene indeed… head out to the garden in the back. I then convinced my friend that the small hiking trail we saw would lead us to some cool caves so off we set… however after about 20 minutes of some increasing dangerous trailing it was clear this was not an official path and the caves were nowhere to be seen. It was a nice jaunt, however that meant we missed the last cable car up to the very peak of the mountain… which I was a bit pissed off with myself about! However a bit of an incentive to go back at least. 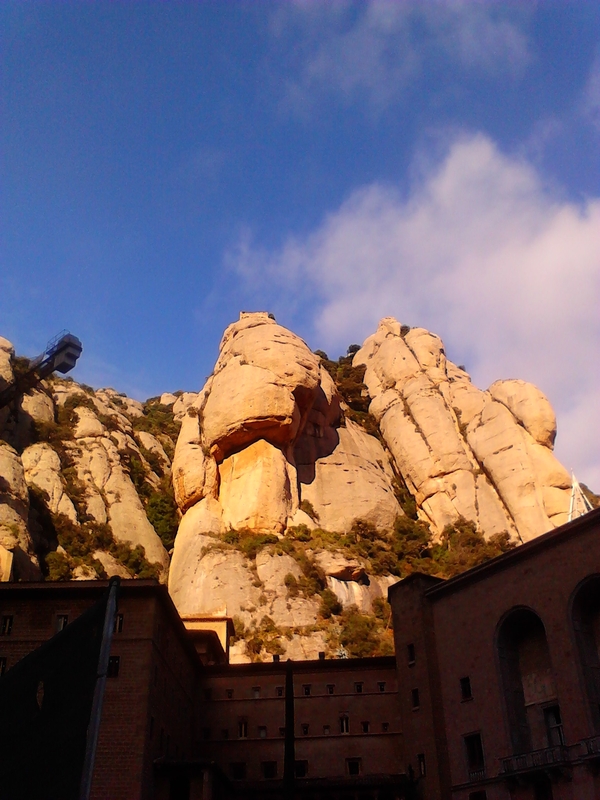 Overall a great day trip and if you’re too lazy to go by public transport/train then there are tonnes of companies offering Montserrat tours leaving and returning to Barcelona.